Congratulations to the Bomber Baseball Team for winning the Regional and Sectional Championships! This is the first sectional championship in school history. More Info. 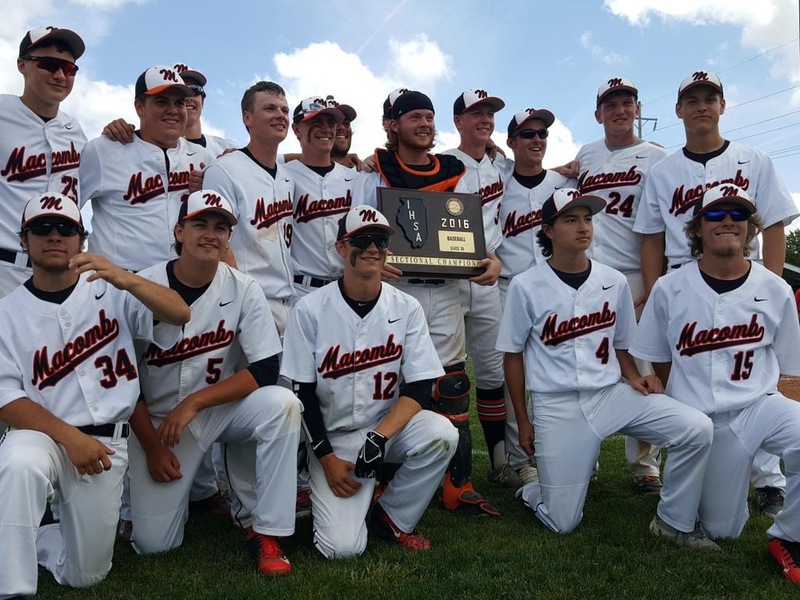 This puts Macomb in the Final 8 (‘Elite 8’) of Class 2A baseball teams in Illinois. Macomb will play Rockford Lutheran at Augustana College in Rock Island at 7 pm on Monday, May 30. Macomb has 23 wins and 9 losses. Go Bombers!